MUST READ: All ministers What my Evangelism mentor taught me about his father: One legend to another legend: Evangelist Paul Saungweme.  Home Featured Post Oudney Patsika MUST READ: All ministers What my Evangelism mentor taught me about his father: One legend to another legend: Evangelist Paul Saungweme. Needless to say, Evangelist Paul Saungweme is a living legend, son of the great living legend, Baba Guti. Millions have been won to Jesus through his Jesus For Africa Evangelistic Ministry crusades and the man is showing no signs of slowing down, though he is not as young as in the yester-years. As one of his most loyal sons I sought to know the man behind the man, so that it would help me in my own calling. What I heard transformed me. Sitting in his home the man confided in me that this generation has to work hard to be like Baba Guti. 2. He is flexible, he moves with the changes and trents in ministry. 3. He is an avid reader. 4. Baba prays like no ones business. 5. Baba is 100% for the work of God and nothing else. If you meet him personally, after initial formalities, his whole focus will be on ministry and nothing else. 6. Even at 91, he is still personally planting churches. He goes into unpreached places, sometimes with nothing but a small briefcase, preaches to a few people, appoints an elder and consencrates the church. He is done. 7. There are young people around baba who plan the progress of the ministry. 8. Baba keeps being a servant of God, no matter what. Even when different kinds of doctrines and forces engulf the body of Christ, he still preaches Jesus. May God help this generation so that we may be able to kill our own Goliaths so that we may inspire the coming generations. Thank you Evangelist Saungweme for being a responsible son to the General, thanks for showing us the way, thank God for Archbishop EH Guti for being a light-bearer, we follow you as you follow Christ. Great people, share with me what you have learnt from these servants of God?